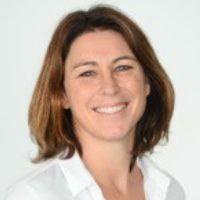 One of Australia’s largest super funds has announced the appointment of a new executive as part of a new internal structure to drive member and employer experiences. Gemma Kyle has been appointed to the group executive as part of the newly formed corporate services group and will lead one of six newly created internal groups designed to support and drive experiences for members and employers. Ms Kyle has worked at rest since the beginning of the year and previously was part of the team that helped separate MLC Life from NAB. Rest’s chief executive officer Vicki Doyle welcomed Ms Kyle to the role and said she looked forward to working with her. “This important role leads a highly skilled team delivering sound financial management, highly commercial legal and compliance capability, and robust risk governance frameworks to ensure our members rights are protected. I am delighted to welcome Gemma to the Rest executive team,” she said. The appointment follows the recent promotions of Deborah Potts and Trevor Evans to group executive employer industry, and engagement and group executive people and change, respectively.